MX, established in April 2007, is the market leader in providing non-card, prepaid / PIN-based payment solutions for P2P and B2C transactions. Its ATN (Associated Transaction Network), the first in the world, comprises an enormous retail network, allowing end-users to easily make payments at 25,000 touchpoints nationwide. The technology platform was developed solely by a local team and is the most cost-effective, flexible and innovative of its kind. 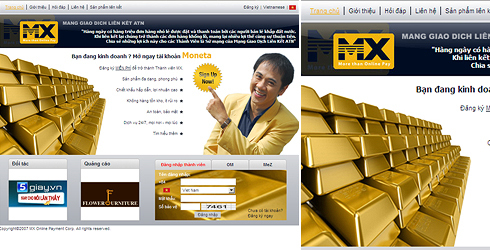 MX also offers online merchant, gold investment and rebate services. The company continues its leading position in the market and has started to transport its business models to Cambodia.